This is it. You found us. 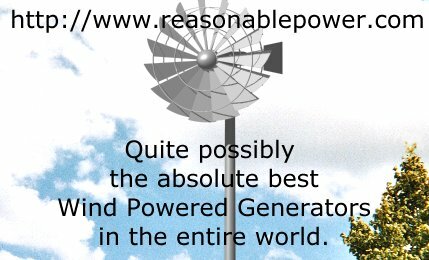 We brought to you : PHYSICS data , NASA references , Sandia National Laboratories research reports. Think about it. It is YOUR TAX DOLLARS being WASTED on Wind TURBINES. Really . . . Think about it. . . Send every politician to this web site NOW. Do it. 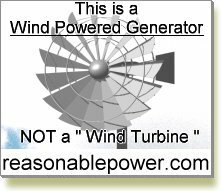 Ask them why they are spending YOUR tax dollars on TURBINES . Hellooo? It is YOUR money. Be a man. Write to Congress and DEMAND that they answer for at least this waste! Don't send an email. Emails can be blocked. Send a hand written letter. 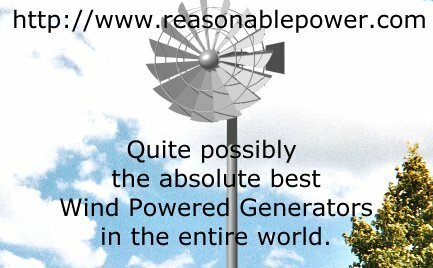 Write a letter and demand that they look at this page "www.reasonablepower.com" and demand that they answer you "in writing" WHY they are wasting your tax dollars on wind Turbines! Send it now. Do not wait. You are reading this page now. So, write a short letter to Congress (whoever your representative is) and send it now. Stop reading, write the letter, and send the letter. It is your tax dollars. It is your money. Write the letter and send it now.